Oh yes - great meme-combo and a beautiful lamppost. I have already snapped a decent one, but like you, I think it would be prettier lit so will have to revisit! Great photos! Summer has started in it's usual way here - a couple of days of glorious sunshine and very high temps (well for us anyway!) then it goes cloudy and cool again! I am definitely joining in the hunt and have got my lamp post! Haven't posted any of my finds on my blog yet, just on Instagram. That's a pretty smart lamp post. a beautiful shot, I must get started on mine. 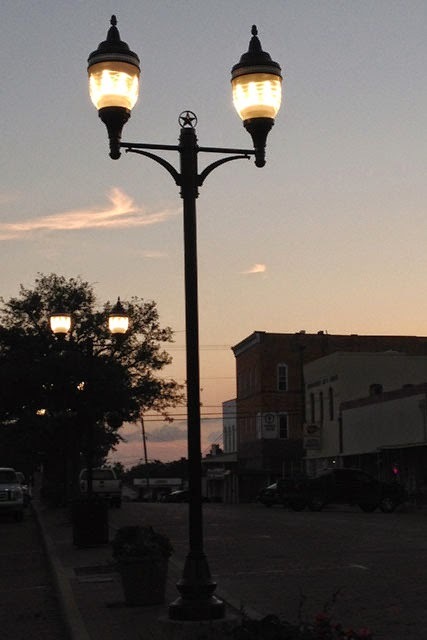 I love taking pictures of lamp posts. yours is great! lovely lamp-post...and great to be able to do ZIZO and scavenger hunt in 1. 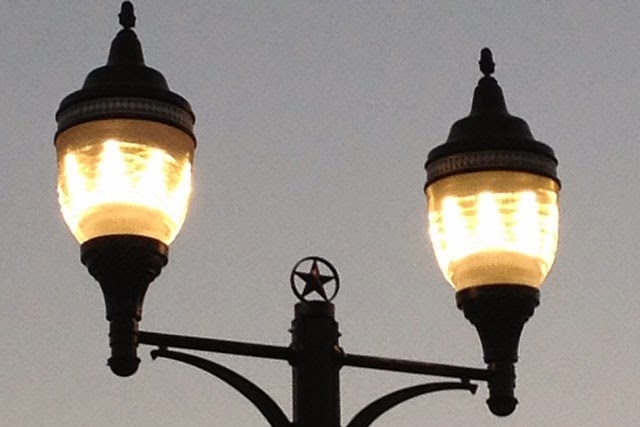 I noticed the Lone Star right away - that's a great capture. I love old fashioned lamps like that! Great captures. These are very elegant ... I doubt I will find anything as nice! Our temperatures are nowhere near as high as yours but it is warm enough to sit out with a long sleeved tee shirt and jeans on :). I got a lamp post picture while in Key West. Thought I might be able to knock out the list there, but didn't even come close.